Kids and teens ages 6 and up, choose a project to make from start to finish in this 75 minute workshop. I will guide you through the process of creating your handmade gift. We all know handmade gifts are the best. Not only do they show the person you are giving it to how much time and thought you have put into their gift, but it's absolutely unique, a little part of you goes into the gift and the giving. 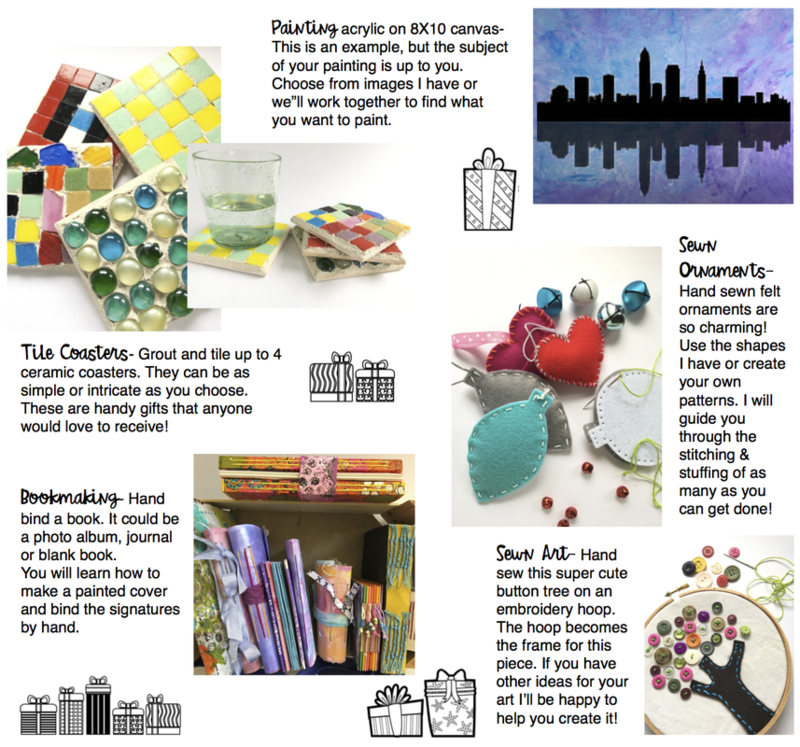 Choose from: paintings, tile coasters, sewn ornaments and sewn art, bookmaking and more! Come work in an art studio and create your own gifts. I give a 25% sibling discount.